Home / Tatafo / Check Out This Viral Photo Of A Shy Bride Denying Her Husband 'KIX' On Their Wedding Day! 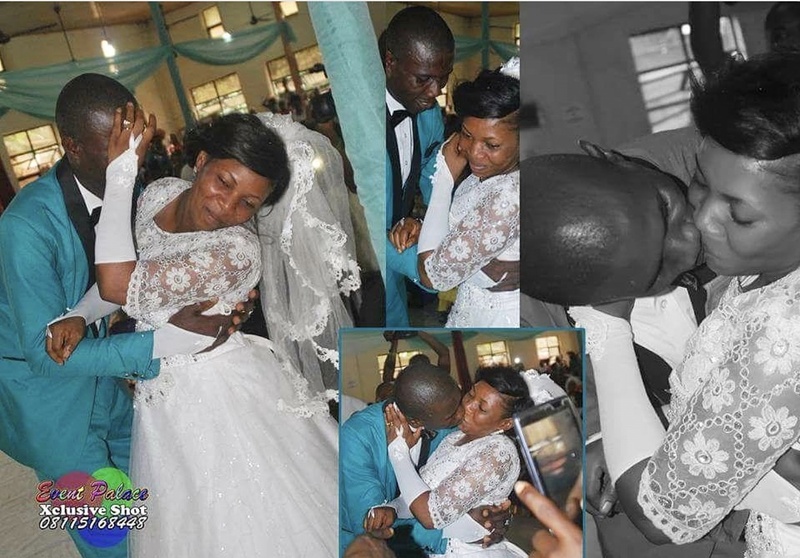 Check Out This Viral Photo Of A Shy Bride Denying Her Husband 'KIX' On Their Wedding Day! Hahahaha, Some Ladies sha, they can shy for Africa in front of people. Even the Bridegroom meant business, ain't taking NO for an answer.